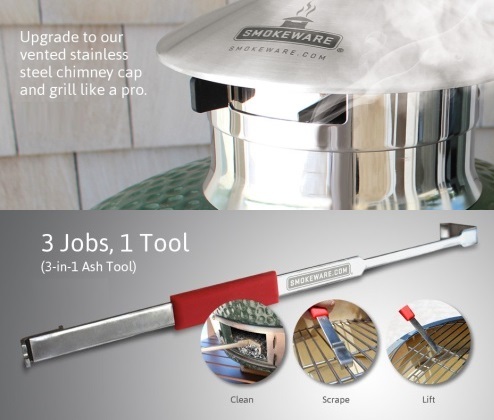 Smokeware builds aftermarket products to make your grilling experience even more enjoyable on Kamado style grills. Take your grilling level to a new level. Come see the line of Smokeware products at Portland Barbecue Shop.